Jay and KL went out early in the morning to pick up the car from Bayswater car rental. 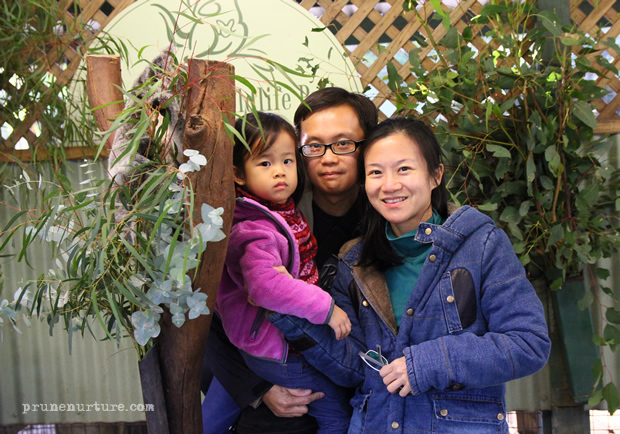 We rented a 8-seater Toyota Tarago for four adults and three children. We had a slight problems loading all our baggages when we were preparing to depart from the hotel – it was a little of squeeze for the two children at the back but thank God they were fine with it. 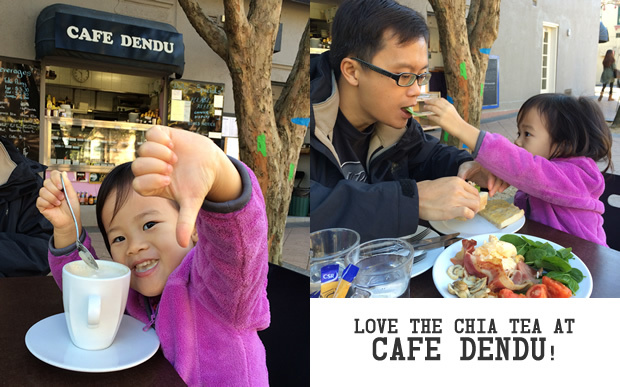 Before we departed for Featherdale Wildlife Park, we went to Cafe Dendu, which is less than 5 minutes walk from our hotel, for our breakfast. I really love the Chia Latte there – creamy and richly flavoured with cinnamon and spices. 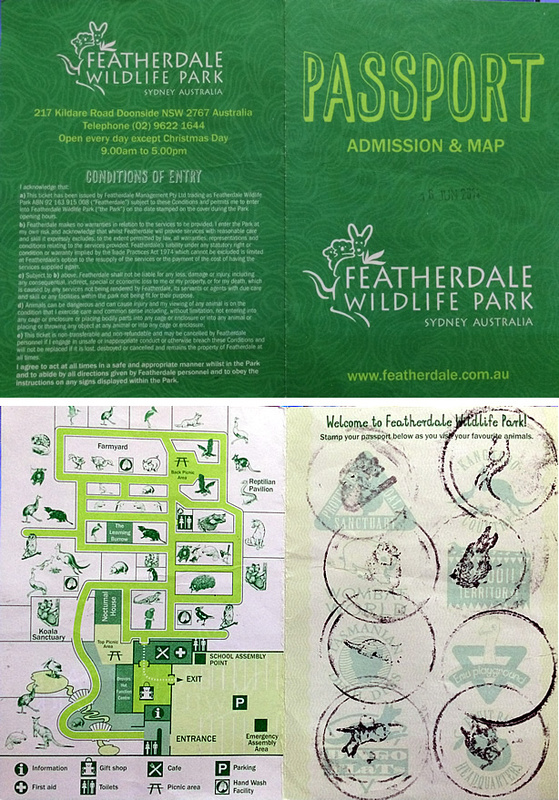 It was about an hour drive from our hotel to Featherdale Wildlife Park. We spent about two hours at this lovely children-friendly park. The children were given a “Passport” each. 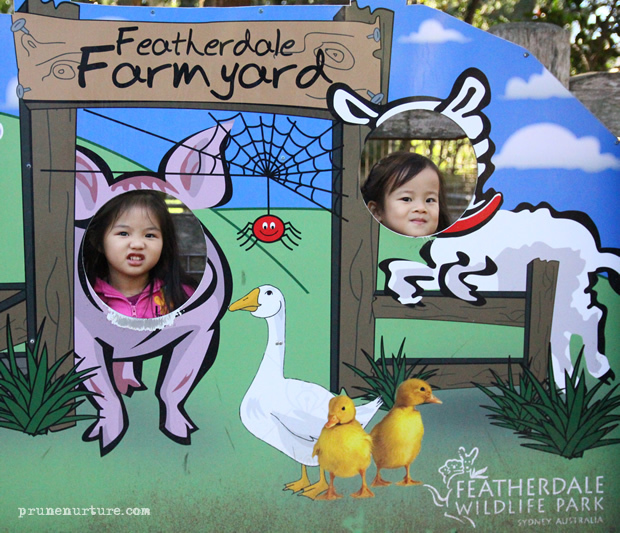 At various stations, they enjoyed stamping their “Passports” as they visited the animals. 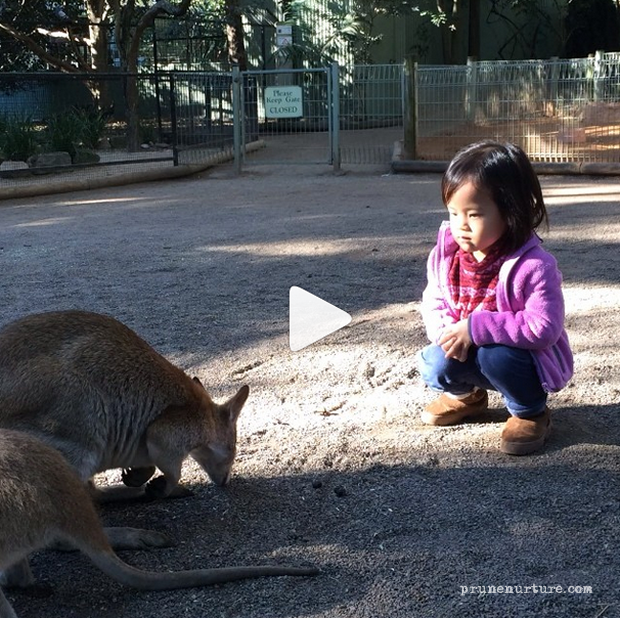 Dot really loves the kangaroos in the park – she spent a lot of her time touching and feeding them. Unlike the typical enclosure where she could only watch the animals at a distance, she enjoyed the close interaction she had with them. 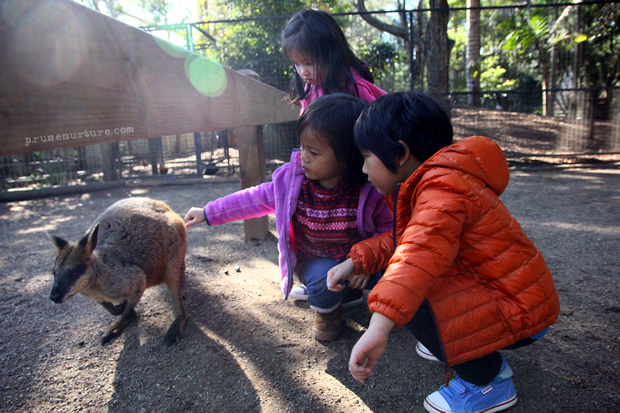 It was so easy to buy food for the kangaroos. 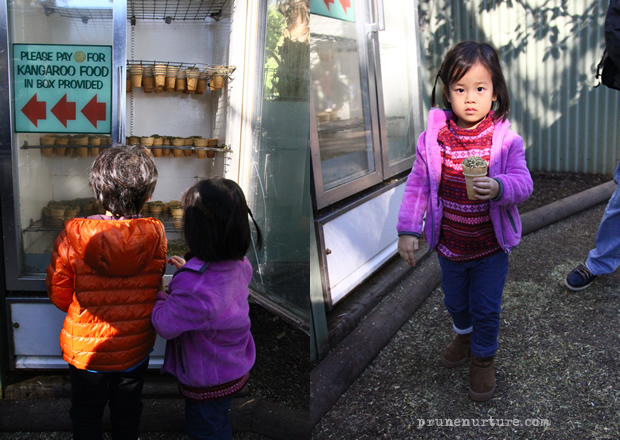 We could just drop a coin in a box and then take a cone to feed the kangaroos. 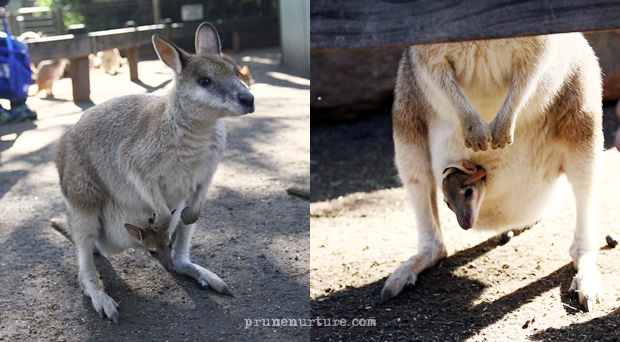 It was our first time seeing baby joey in its mommy’s pouch. I kept following the mommy and baby until I could take a few decent photos of them. 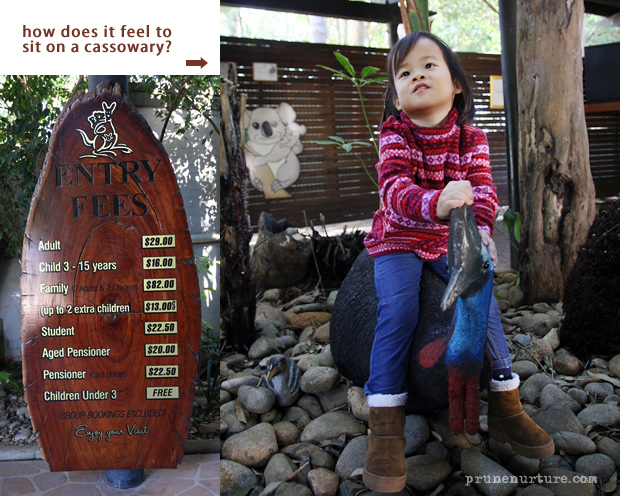 We hardly spent much time with the koalas. My little girl took this photo unwillingly with us and quickly ran off to her kangaroos when it was done. 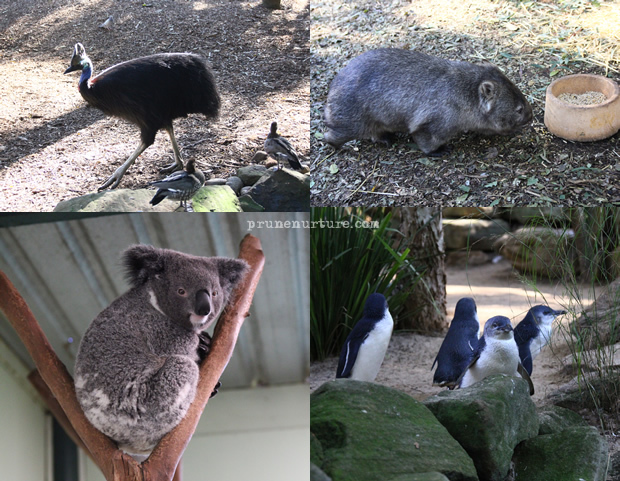 We saw cassowary, Tasmanian devil, wombats, owls, kookaburra and many other animals. I was surprised to find penguins there too. 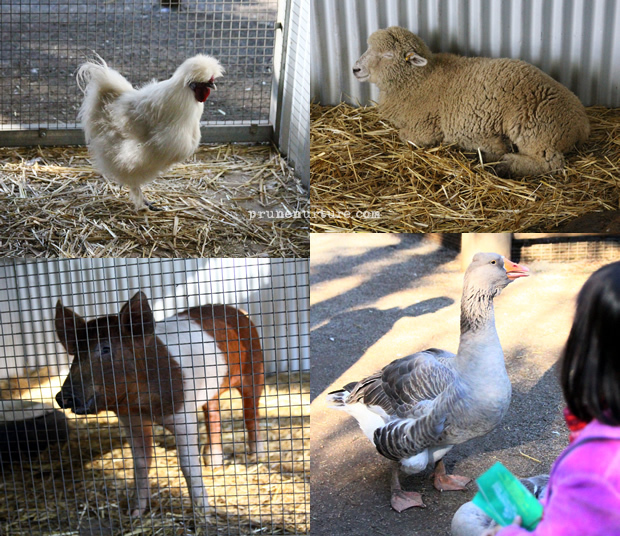 At the farmyard, I saw a strange looking hen or rooster – white and very feathery. 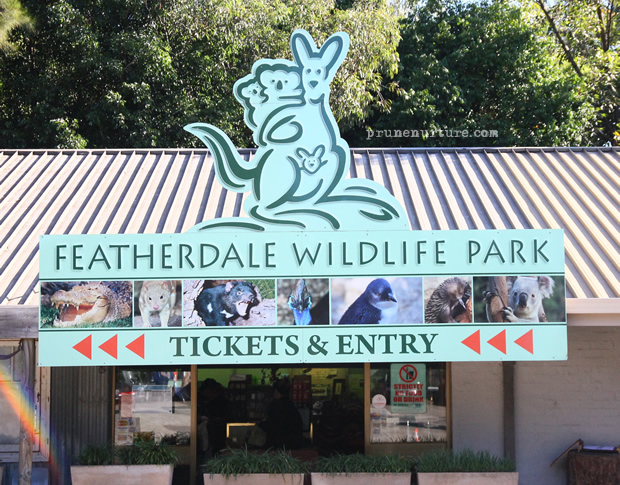 We had our late lunch at the cafe before we departed from Featherdale Wildlife Park. We bought her a kangaroo headwarmer from the souvenir store. It was an hour drive to Bilpin Spring lodge at Blue Mountains. The sky turned dark at 5.30pm and we had some slight difficulty locating the lodge. When we finally made our way inside the lodge, we realized that we were the only two families staying in the entire lodge. 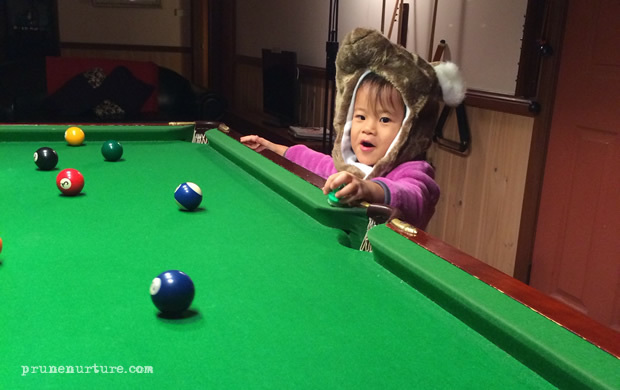 There was a pool table just outside our rooms and the children had great fun playing there. As we were not very familiar with the surrounding yet, we thought it would be better to settle our dinner in the lodge. The fridge had bacons, eggs, bread and butter for our breakfast the next day. We used some of the ingredients in the fridge for our dinner that day. On hindsight, we should have bought some groceries from Paddy’s Markets before we departed from Sydney city. After our dinner, we took a short walk outside. It was freezing cold. When I looked up into the night sky, it was filled with innumerous stars. I couldn’t help but marvelled at the beauty of God’s creation.